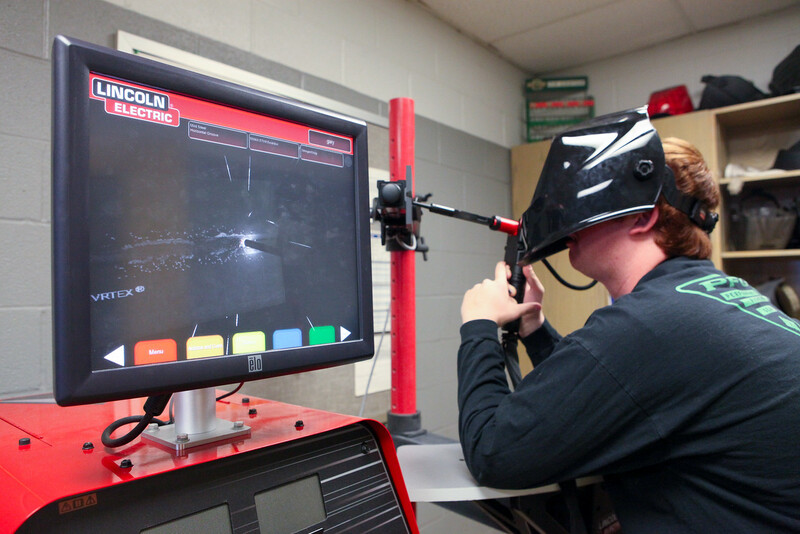 The TJC Welding Technology program is designed to train students in the solid fundamentals of industrial welding processes with an emphasis on layout and design. Specific areas of training will include welding processes, blueprint reading, welding procedures, welding metallurgy, pipe welding, plate welding, pipe fitting, plate and pipe layout and fabrication, inspection and testing methods. Our hands-on teaching methods and state-of-the-art lab allow you to get your hands dirty and really experience what welding is like. You will get acclimated to the tools used in the industry, safety procedures and the latest welding techniques. The experience you will gain with our program is as close as you can get to the real thing. Upon graduation, you will be able to jump right in and get to work. Earn your Associate of Applied Science degree through our Welding Technology program and join an industry that’s heating up the job market right now. Our entry level certificate of proficiency in Welding Technology provides you with a fast track to using the skills you learn in the real world. The advanced level certificate is perfect for students who are wanting to further their welding career, but can’t fully make the time commitment of a two-year degree.